This pair of Disney earrings by Chamilia are set to make a stylish statement, with frosty mint and pretty pink zirconia crystals, the iconic Mary Poppins kites are brought to life. 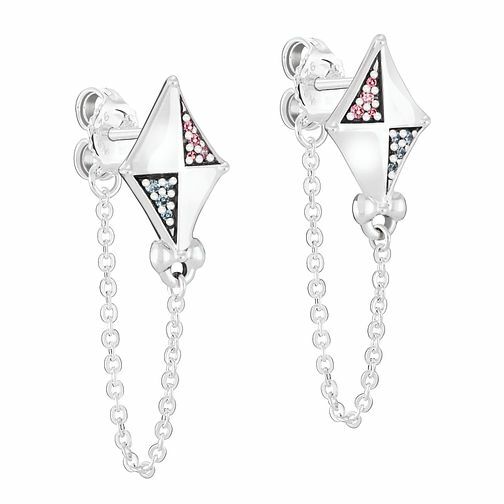 Made from sterling silver, these kite stud earrings feature a chain trail, making this pair perfect for both day and evening wear. A magical accessory by Chamilia for any Disney devotee!